Christ Church was started before 1849 as a free mission at the corner of Lafayette and Union Streets. The first reverend was Robert T. L. Lowell. 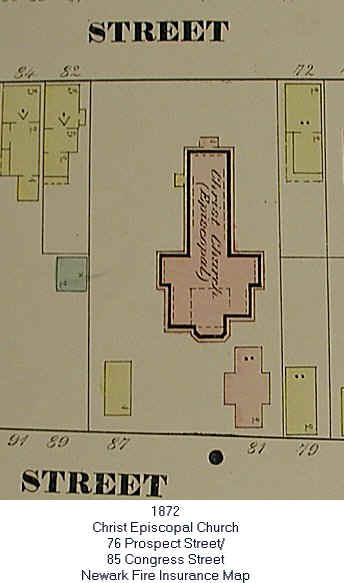 In 1849 the site at Congress and Prospect Streets was purchased. The church was organized and incorporated on February 1, 1850. The next day, construction begun on the church building. Remodeling to the church began in 1873 and ended in 1881 with a dedication ceremony. Give relief to its own destitute members and in instances to nonmembers. Helps conduct a mission for colored people.